I’m a huge fan of an upcycle project, using items in ways that they are not necessarily designed for and updating furniture to create unique pieces. I don’t get chance to do it very often, but earlier on this year I was able to spruce up a couple of drawer chests. 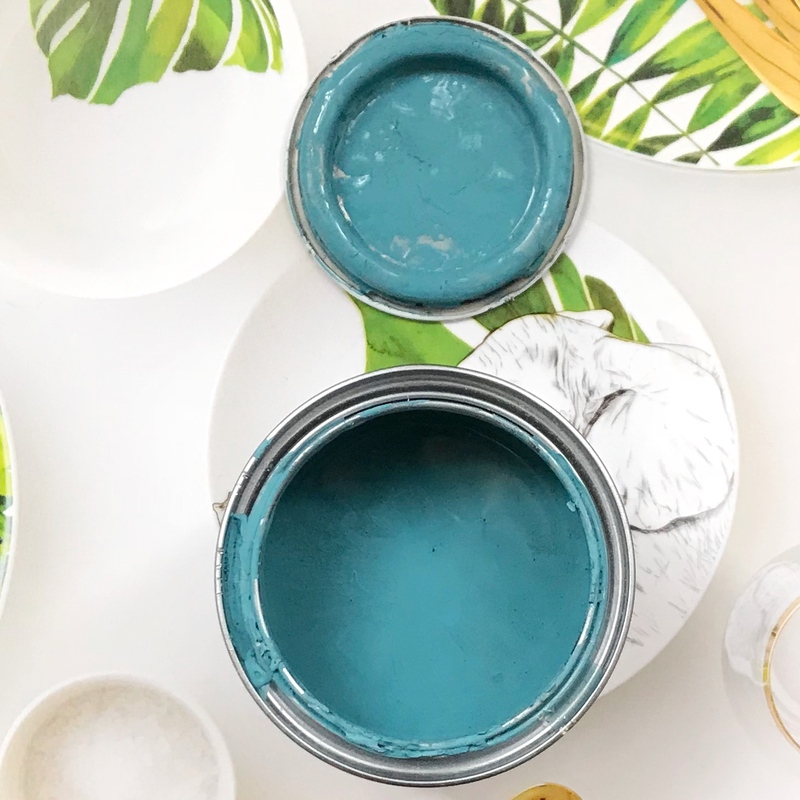 For the projects, I wanted to use chalk paints to paint the timber furniture – I’d heard they have a great quality to them, are easy to use and a dry to a very matt finish which was just the ticket! 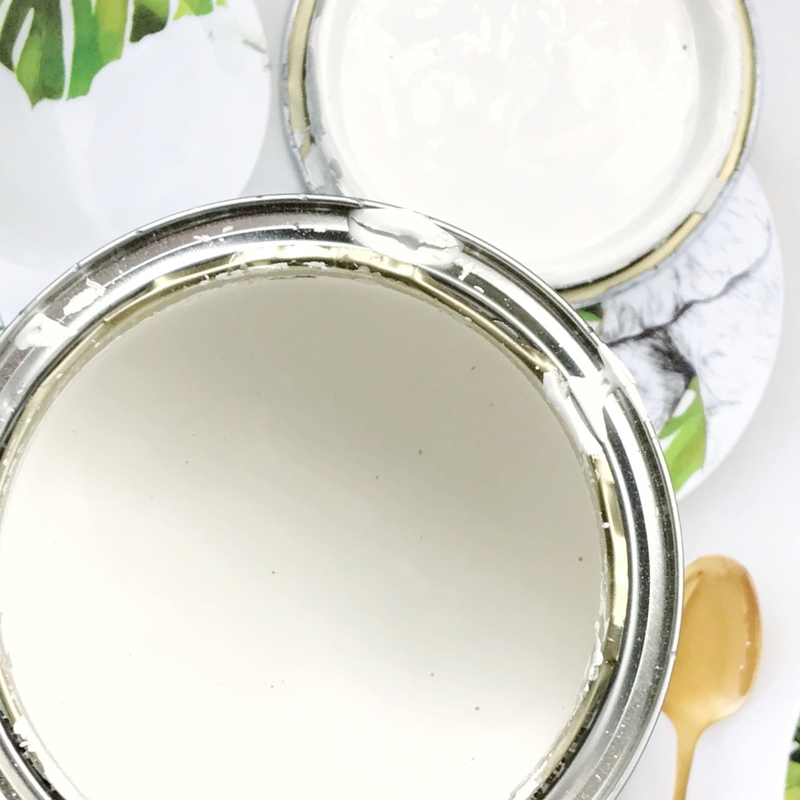 After doing a little research on where I could pick up some chalk paints in my local area, I found out about Rust-Oleum Chalky Finish Paint. And I love it! These paints are amazing and super affordable! 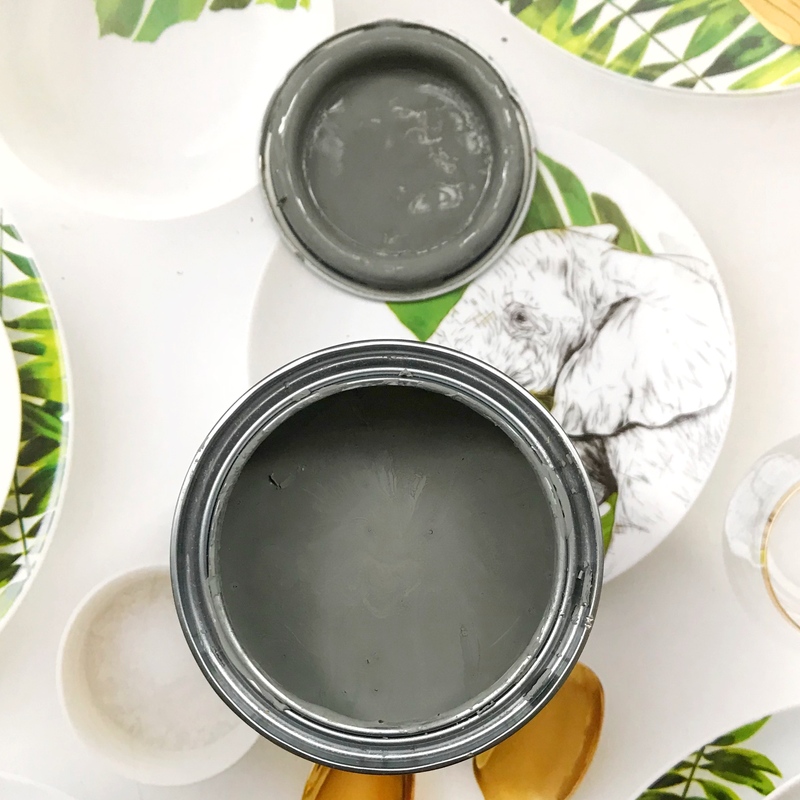 They do some great colours – a few greys, a couple of whites and also some fun pop colours – in two different size of paint pots, 125ml and 750ml. They are also available in spray can form, which I have not tried yet. They retail at approximately £4.99 for the 125ml and around £12.00 for the 750ml. Because it was close by and I was eager to try these paints as quickly as possible, I went to the Range (a store in the UK that sells some Home Decor items) where I could pick them up and, after a little ‘umming’ and ‘ahhing’, I chose a few of the small tins in a variety of colours. The Graphite – a dark charcoal grey. Anthracite – a mid-to-light grey. Belgrave – a cool mid blue that has a slight greenish tone. 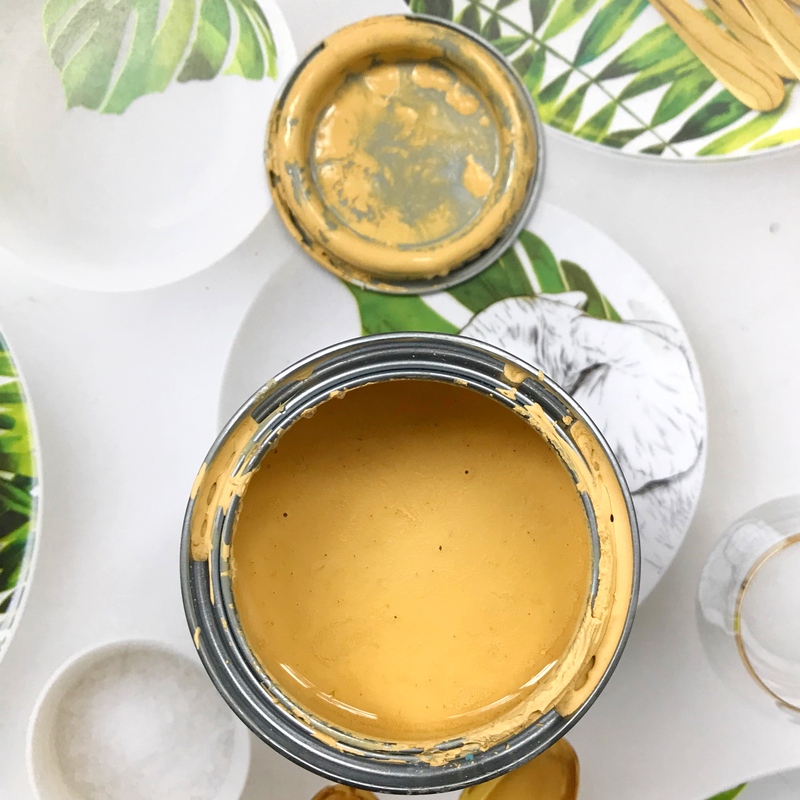 Mustard – a light ochre yellow. Dusky Pink – exactly as it sounds. Bramwell – a heritage-looking soft green colour, which we will be sampling for the kitchen at a later date. I also bought a Chalk White in the bigger size tin as I would be using more of it. All of the colours are gorgeous and so pigmented, but I have to say, the Anthracite surprised me a little by how light it is. I would normally classify an anthracite as being more like the Graphite, but despite that I’m so happy with all of these. This is the first time I’ve used this brand so I wasn’t quite sure what I was in for, but I had no need for concern. Using these chalk paints has been great! They are extremely opaque and pigmented, they spread with a paintbrush like a dream and are so easy to use. I was concerned they would be a little powdery in consistency, but they are very smooth to put on to a surface, although they do dry quite quickly, so you have to work with them pretty fast. If there has been an occasion when I’ve had to smooth over a section I’d been painting a few minutes earlier, my brush has then created very rough streaks through the section of paint because of how fast it dries. This was easily remedied by adding a little more paint to the brush and smoothing over the surface, but I would say that it’s best to ensure the section you’ve worked on has been completely covered before there is any chance of it drying. 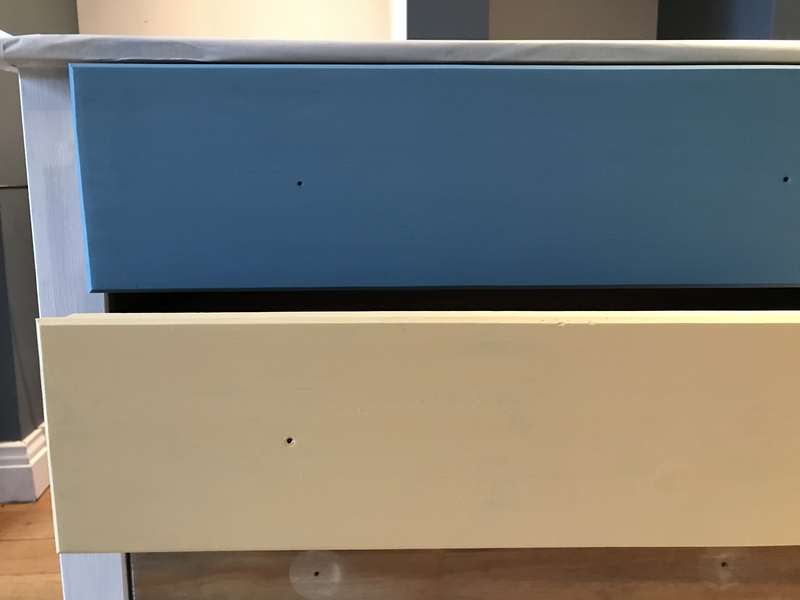 While working on these, I was painting the Chalk White onto bare pine timber and there is definitely a need for two coats, although the coverage is fantastic. Look at how well it’s covered just with one coat! 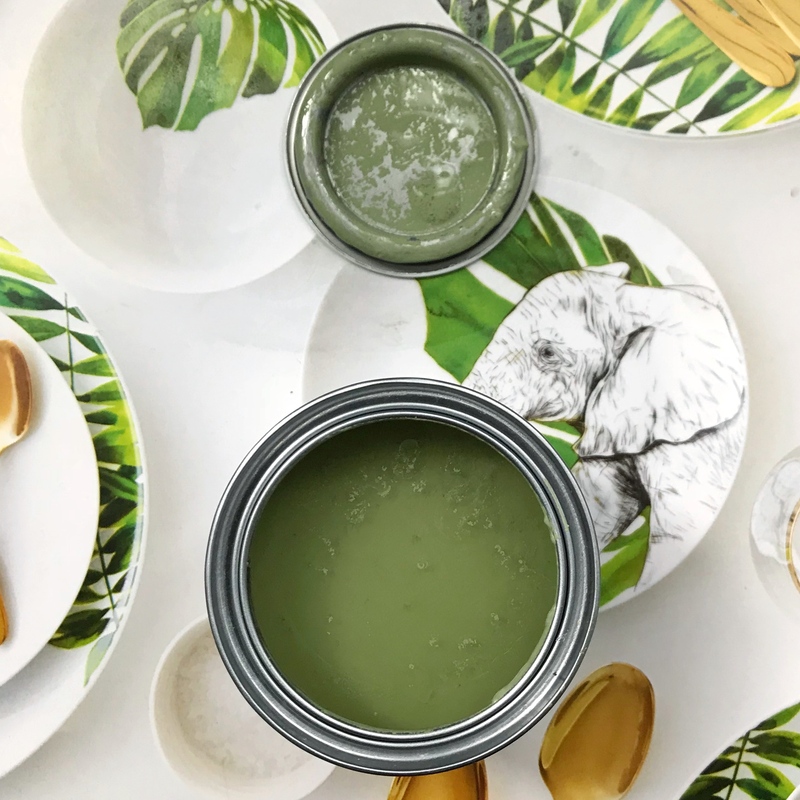 There is the option to apply the Rust-Oleum Finishing Wax over the paints to finish them, but you can just leave them as they are if you wish. I chose to leave them unwaxed, as I love the matt finish and want to see how they fair on their own. In terms of durability… it’s early days, but I will probably write another blog post when I’ve seen how they get on. So far I’ve used all colours except for the Dusky Pink, as this is for another project which I will be doing shortly. But based on my experience with these paints, I have no reason to expect the pink to perform any differently. 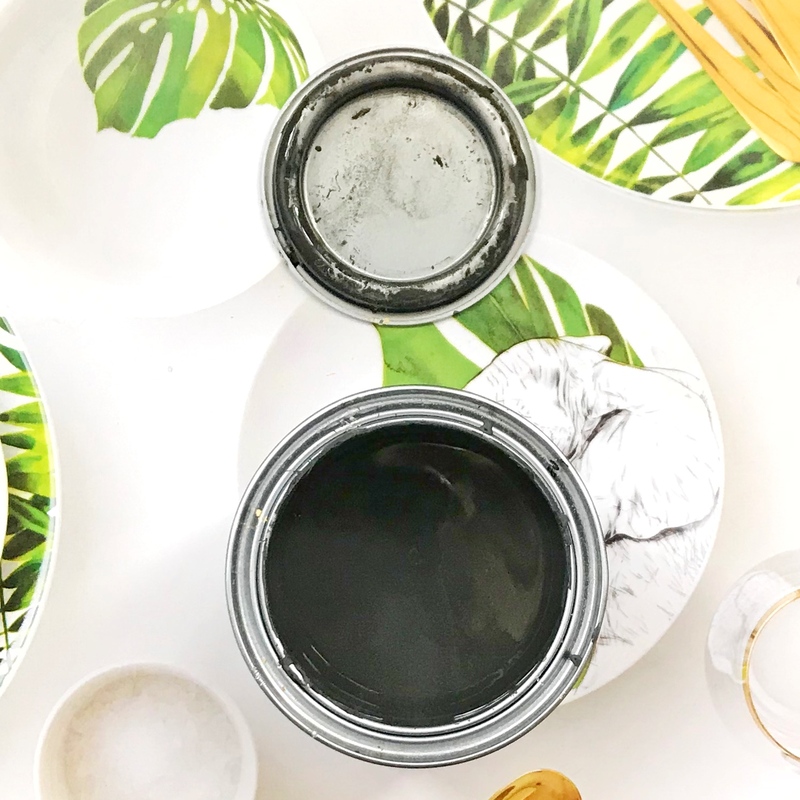 So, all in all, I would definitely recommend these chalk paints and will be using them a lot more as I continue with our furniture upcycling projects. I’m dying to get an old dining table and to buy mismatched dining chairs that I can paint different colours. Have you got any upcycling projects coming up? 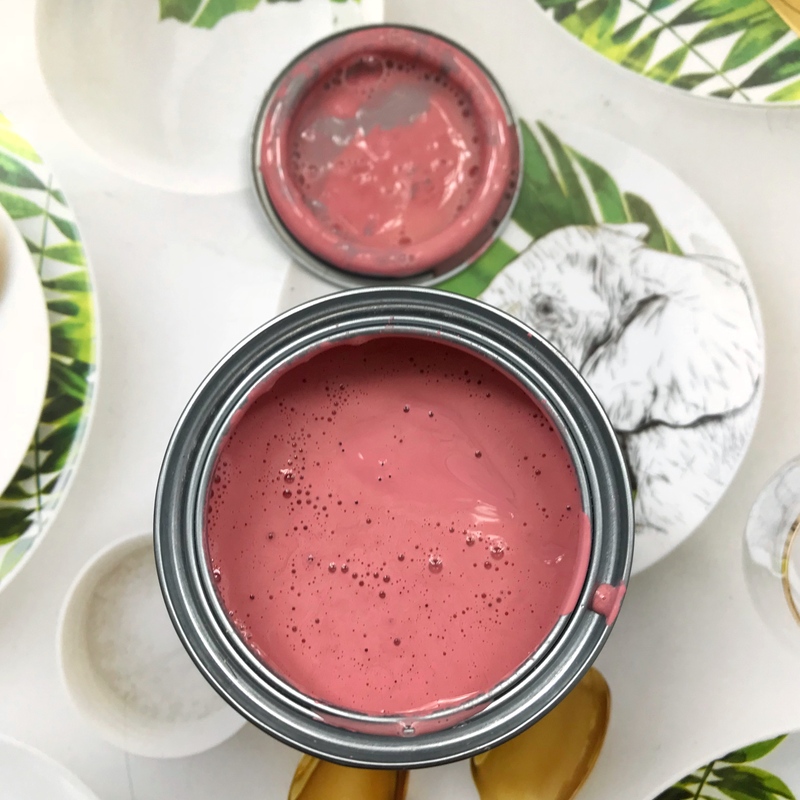 Are you thinking of trying these chalk paints? Let me know what you think of them! Psst… All the opinions expressed in this post are entirely my own, based upon my own experience with these products. Although some of these links are affiliate links, I have bought these paints myself and I’m using them for personal projects.